By accepting a job with this company, you have agreed to the company’s ARBITRATION AGREEMENT. The following explains why I, the employer, can do this. I am POWERFUL. YOU are POWERLESS. I therefore can CONTROL every aspect of our relationship. I have no reverence for you, or your struggles, or why you need this job. I will dictate every aspect of your job. How much you will be paid. Your hours. Your benefits. Your duties. It is non-negotiable. You have no guarantee to work this job tomorrow. I can fire you for almost any reason, or no reason at all. I will force you to give up your constitutional right to a jury trial before your peers. If you refuse to agree to my arbitration agreement and refuse to give up your jury trial rights, I can and will fire you. I will force you to submit your legal claims to an arbitrator who will be paid thousands of dollars by me. I have probably paid this same arbitrator several times in the past for deciding cases against my company. You will never know how this arbitrator has decided past cases against me, nor will you ever know how much I have paid this arbitrator in the past. Of course, my lawyers and I will know. Arbitrators will know that their decisions against me will determine if I accept them for future arbitrations, which could result in them losing tens of thousands of dollars in future compensation. Your challenges against my arbitration agreement will be almost futile because I, and other like me, have POWER over many elected officials and judges who run for re-election or seek appointments. Judges will rule that you “voluntarily contracted” with me, and “agreed” to give up your jury trial rights in exchange for working here. We both know, however, you have no bargaining power to contract or negotiate with me. The Seventh Amendment to the United State Constitution guarantees a right to trial by jury in civil cases. It is clear and unambiguous. Yet I have stolen your inherit right as an American and you can do nothing about it. I have the POWER and I will maintain CONTROL over you, the POWERLESS worker, until (1) uncompromising and brave jurists begin to take action by recognizing the TRUTH, or (2) Americans demand change and take action against those employers that force arbitration agreements against their workers. TRIAL BY JURY is your inherent right preserved by the framers of OUR CONSTITUTION. It cannot be stripped away in exchange for a job. You should not have to choose between feeding your family and exercising your legal rights. El Paso Nurses Test Retaliation Law: Do Legal Protections End At The State Line? 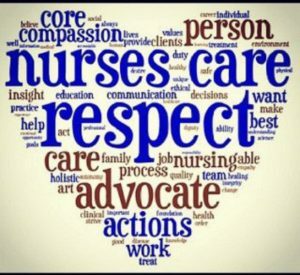 This week the Fifth Circuit Court of Appeals in New Orleans will hear a case from El Paso, Texas that will determine the reach of Texas anti-retaliation laws that protect nurses who refuse to obey directives that jeopardize patient safety. Specifically, do these legal protections extend to Texas nurses when the patient happens to be located across state lines? I am proud to represent two registered nurses: Gloria Almeida and Irma Quiñonez. Almeida and Quiñonez worked for the same employer, Fresenius Medical Care, in El Paso for 24 and 20 years respectfully. They are nephrology nurses, which mean they care for patients diagnosed with end stage renal (kidney) disease. They provide care and compassion to both patients and their families in the most trying of circumstances. Almeida and Quiñonez had outstanding employment histories, having no disciplinary history and only excellent performance evaluations during their long careers. Yet they quickly lost their jobs after refusing to comply with an order that they believed could jeopardize a patient’s safety. Almeida and Quiñonez allege in their lawsuit that a supervisor directed them to provide home hemodialysis training to a patient in Las Cruces, New Mexico. While most dialysis patients have their treatments in a dialysis facility with trained nurses present, a patient can opt to receive dialysis treatment at home administered by only a family member. These family members need to be trained by experienced professionals on how to operate the dialysis machinery, and what steps to take if problems occur with the patient or the machinery. A wrong decision based on poor training can mean life or death for the patient. The dialysis machine used in a dialysis facility is very different than the one used by patients at home. Both Almeida and Quiñonez objected because their experience and training was with the dialysis machines used in dialysis facilities, not with the in-home machines. They felt that they lacked the proper training and experience required by both state nursing regulations, as well as by company policy, to train family members. Despite these objections, the company continued with the directive and promptly issued Almeida and Quiñonez first and second reprimands, followed by a termination due to the alleged insubordination. 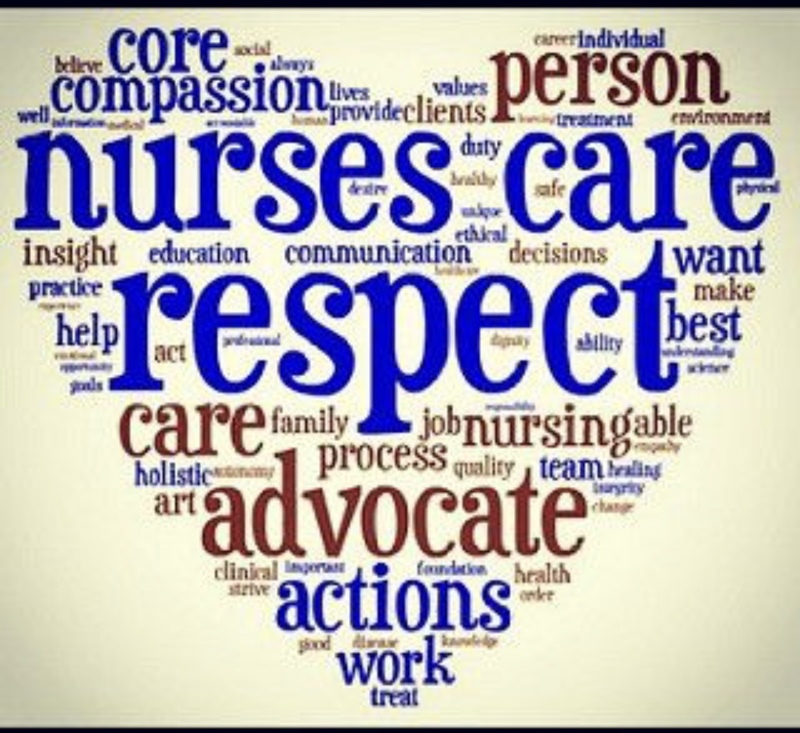 Almeida and Quiñonez filed suit alleging violations of Texas nurse anti-retaliation statutes (Texas Occupations Code §§301.352, 301.4025(b) and 301.413), which prohibit retaliation again nurses who report and/or refuse to engage in practices that the nurse has a reasonable cause to believe exposes patients to a substantial risk of harm, or would constitute grounds for reporting the nurse to the Texas Board of Nursing. Fresenius asked the trial court to dismiss the case alleging that it was not subject to these Texas laws because the patient care in question occurred outside of Texas. 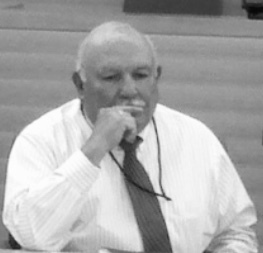 El Paso federal district judge David Briones agreed, dismissing the lawsuit. Almeida and Quiñonez have appealed their case to the Fifth Circuit Court of Appeals. Their appeal is being handled by John P. Mobbs, one of the best appellate attorneys in the state. The Fifth Circuit is a very conservative, pro-employer court, and the odds are against these nurses. But this case is too important not to appeal. This court’s decision will not only decide the fate of Almeida and Quiñonez, but also every Texas nurse working along the borders with neighboring states and treating patients across state lines. Almeida and Quiñonez are Texas nurses licensed by the Texas Board of Nursing and are subject to its rules and regulations. They worked in Texas. Their employer was located in Texas. They were terminated in Texas. 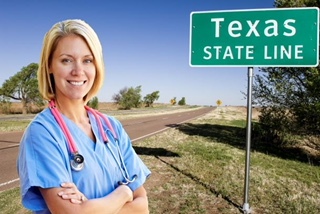 The Fifth Circuit will determine if the protections of Texas statutes meant to protect Texas nurses and promote patient safety ends once a nurse crosses state lines to care for a patient. This case will have an impact, in my opinion, on not only the protection of Texas nurses, but on the care of patients who depend on nurses voicing their opposition to dangerous or unsafe directives by healthcare employers. In the end, the commitment and compassion of nurses do not end when they cross state lines. Neither should their legal protections. 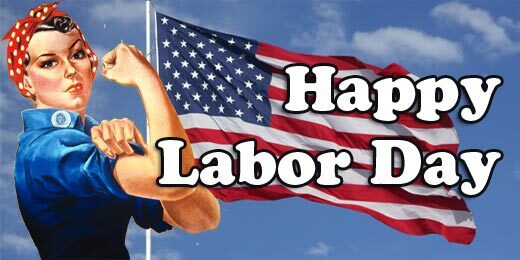 Labor Day is celebrated each year to honor American workers. A nation can show no greater honor to its workers than to ensure respect through safe working conditions, fair pay and benefits, and a work environment free of discrimination. That includes protections against pay disparity between the sexes, as well discrimination against older workers, pregnant employees and the disabled. As far as our nation has come in the last 100 years in extending worker protections, we continue to lack in many areas. Here are a few Labor Day thoughts. ….you can give up your right to bring a legal claim through the court system by accepting a job? The answer is yes. A right to a jury trial is a constitutional right, yet many employers require workers to agree to arbitration agreements as a condition of employment. That means if you refuse to sign it, you will be fired! Some employers are just sticking the arbitration agreement in handbooks, and when you sign for your handbook you are “agreeing” to arbitration. The result is that if you ever have to bring a legal claim against your employer, you will not have your case decided by a judge in your city, or a jury of your peers. Rather it will be decided by an arbitrator paid for by your employer. Many times an employer will pay tens of thousands of dollars to the arbitrator to decide a case. Can you imagine if you had your case in front of a judge that received a contribution of $25,000 from your former employer? It would never happen because that judge would recuse his or herself. Not the case in arbitration. Sounds unfair? It is. …you can work for your employer one day and they can limit your future employment for the next two years? The answer is yes. Most workers in Texas are “at-will” employees. That means you can be fired at any time, for any reason that does not violate an employment law. Some employers are requiring workers to sign non-compete agreements as a condition of employment. These non-compete agreements essentially bar you from working for a competitor of your employer for a certain period of time (usually 1 or 2 years) in a certain geographic area (city wide or a 200 mile radius for your workplace). So in exchange for your employer giving you absolutely no guarantee of future employment, they can greatly affect your livelihood and ability to support your family. If you have a specific skill, or work in a specific profession, these non-compete agreements can devastate you financially. Sounds unfair? It is. …you can be fired for getting hurt at work? The answer is yes. Texas law prohibits the termination of a worker for reporting a workers’ compensation claim. The problem is that Texas does not require all employers to have workers’ comp insurance. If an employer does not carry workers’ comp insurance then this retaliation law does not apply to them. The result is that in some cases you can legally be fired for getting hurt on the job. Sounds unfair? It is. …you can be fired simply because of your sexual orientation? The answer is yes. Both federal and Texas anti-discrimination laws do not prohibit discrimination based on a worker’s sexual orientation (except the Seventh Circuit, which Texas is not a part of). While federal legislation has been proposed to amend the Civil Rights Act of 1964 to include sexual orientation discrimination, it has died in committee. A good employment attorney can sometimes bring a gender discrimination claim based on an employer or supervisor making decisions based on “gender stereotypes” (e.g. criticizing a gay worker for not acting “like a male”). Unfortunately that argument may not be available in many cases where the LGBT community faces workplace discrimination and harassment. Sounds unfair? It is. Let’s celebrate the day of the American worker, but let us not forget that work still has to be done to ensure full and fair protections for all of the people that make this country great. Happy Labor Day! On a recent flight, Google engineer James Damore decided to draft a memorandum in which he rambled on about, in his opinion, Google’s misdirected attempt to achieve racial and gender diversity in the workplace. There is no evidence Damore was denied a job or promotion due to favorable treatment towards a minority or female candidate. Damore just wanted to vent about his employer’s policy on diversity. The more controversial parts of the document include Damore’s opinion that the lack of equal representation of women in the tech industry, as well as in positions of leadership, did not stem from discrimination but rather due to biological differences between men and women. According to the Damore, women genetically possessed greater neuroticism (higher anxiety, lower stress tolerance) than men. I believe this “biological differences” argument was used in the past to justify discrimination against African-Americans, but I digress. Damore decided to share his memorandum internally with co-workers. The memo went viral, and Google responded by terminating Damore’s employment based on a violation of its Code of Conduct policy. Damore is now threatening to sue. Damore supporters decried political correctness had run afoul. Damore opponents applaud Google’s decision to strongly and swiftly address discriminatory attitudes in the workplace. Which side is right? If you are employed in Texas you are probably “at-will,” which means your employer can terminate you for any reason that does not violate a specific law, such as anti-discrimination laws. This includes being foolish enough to disseminate a memo or post on social media negative things about your employer or co-workers. You have no First Amendment or “free speech” rights unless you are employed by a government employer (e.g. federal, state, city, county or school district), and even as a public employee you cannot say whatever you want. For employers like Google, if prompt action is not taken it could be argued in other discrimination cases that the company fosters biased attitudes in the workplace by not disciplining workers whose words and actions are discriminatory. In fact, Google is currently in litigation over claims of gender pay disparity. Their reaction to Damore’s memo was therefore not a surprise. Employers just need to be careful to ensure that their policies do not inhibit or prevent valid employee complaints and communications about workplace issues, while making it clear that discriminatory or harassing behavior is prohibited. Section 7 of The National Labor Relations Act provides protections for “concerted activities” of two or more employees in addressing workplace concerns. Damore’s memo was distributed to co-workers so it could be view as a “concerted activity.” Was the memo, however, a concerted activity about workplace concerns, or just a personal rant about political correctness that included discriminatory stereotypes about women? Probably the latter, but we will have to wait and see the outcome. That is unless Google and Damore quietly settle their legal dispute first. What lessons can we learn from this Google “Diversity” memo? Keep your opinions to yourself … and watch the inflight movie. When St. Vincent Health Center, a Catholic based hospital system, implemented a mandatory flu vaccination policy for its employees, it carved out an exemption for workers who objected based on either medical or religious reasons. If the exemption was approved, employees could continue working if they wore masks while in contact with patients during flu season. If the exemption was denied and the worker still refused the vaccination, the employee would be terminated. Fourteen employees requested and received medical exemptions. The hospital, however, denied all accommodation requests by employees requesting religious exemptions, resulting in the discharge of six workers. After a religious discrimination suit was brought on behalf of these employees by the EEOC, the employer settled by paying $300,000 in damages, and offering reinstatement to the affected employees. Both federal and state discrimination laws prohibit discrimination based on religious beliefs. This includes denying a reasonable accommodation request based on an employee’s “sincerely held religious belief,” unless the employer can prove an undue hardship on its business. “Religion” and “religious beliefs” are broadly defined under the law, and include not only traditional religions, but also non-traditional religions or beliefs, as well as non-theistic moral or ethical beliefs as to what is right or wrong. 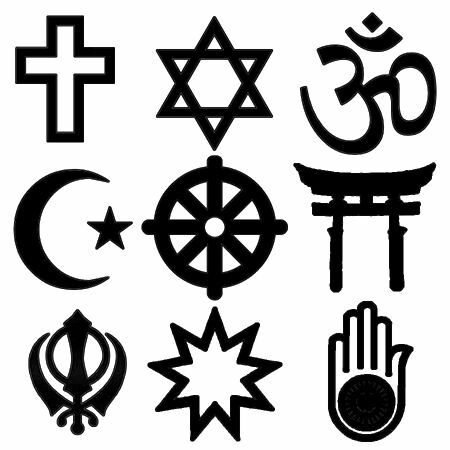 See EEOC Compliance Manual on Religious Discrimination. Employers need to be aware that courts have traditionally been reluctant to exclude a belief or practice as not being covered under religious discrimination laws, and even more reluctant to question if an employee’s belief is sincerely held. As St. Vincent discovered, failing to grant reasonable accommodation requests based on religious beliefs can be costly.